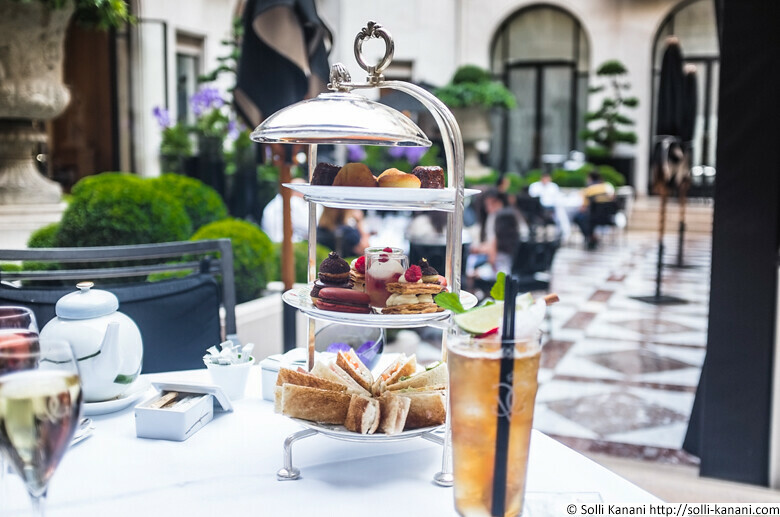 Afternoon Tea at the prestigious Four Seasons Hotel George V located in Paris “Golden Triangle”. 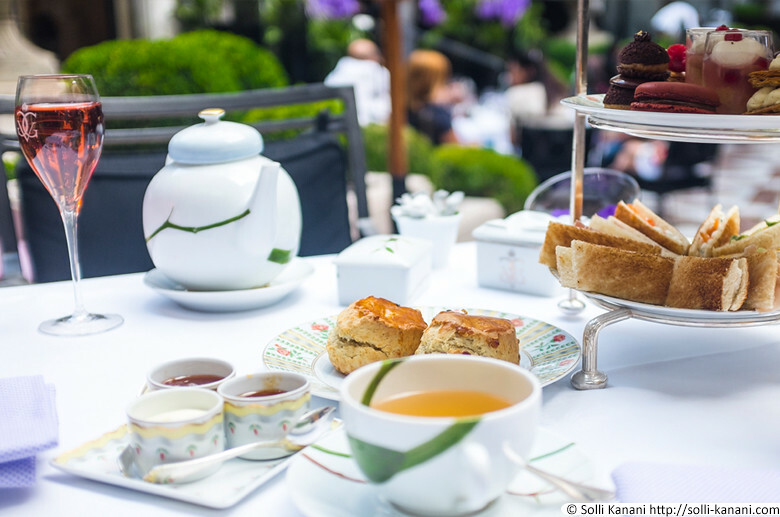 Last week my friend Anne and I had been invited to try their Afternoon Tea that we got to enjoy in their lush courtyard. 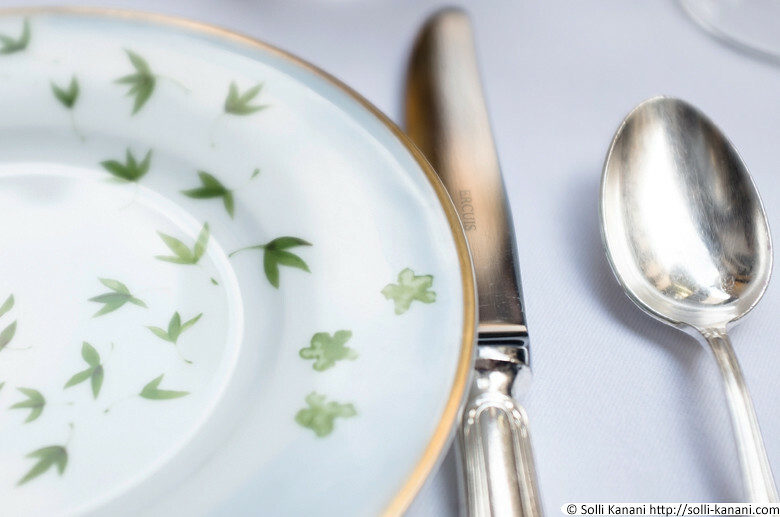 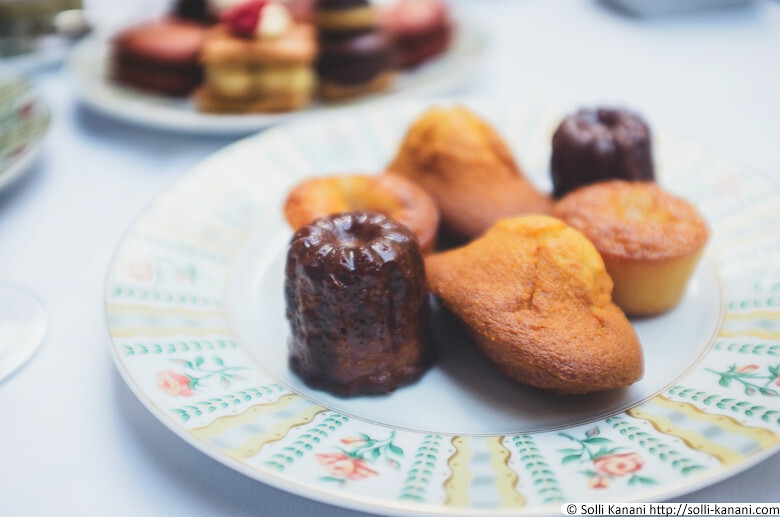 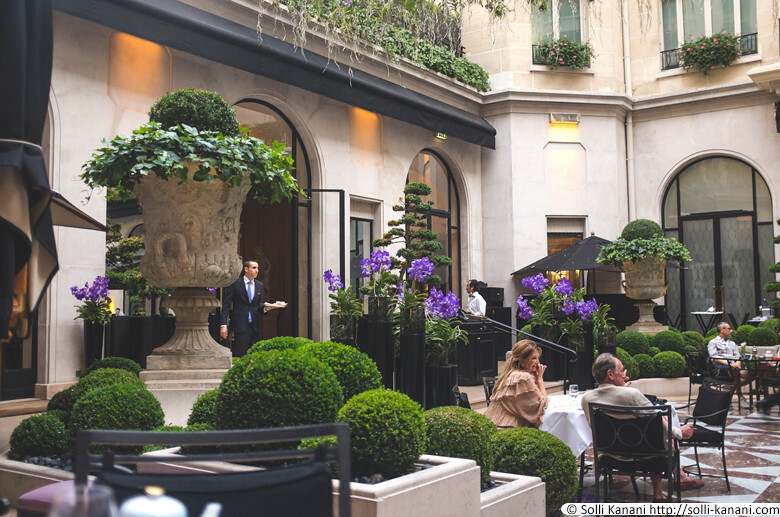 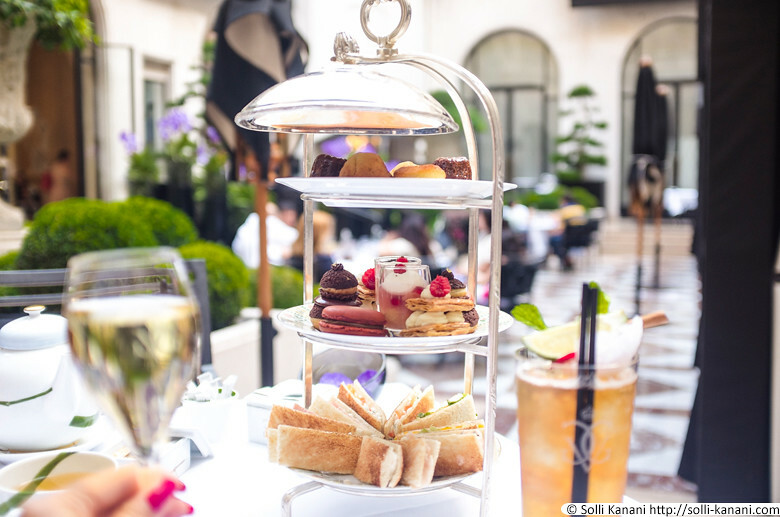 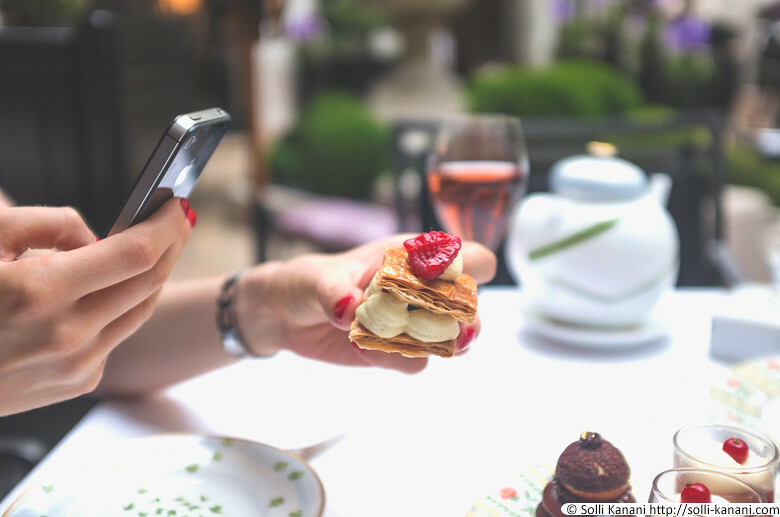 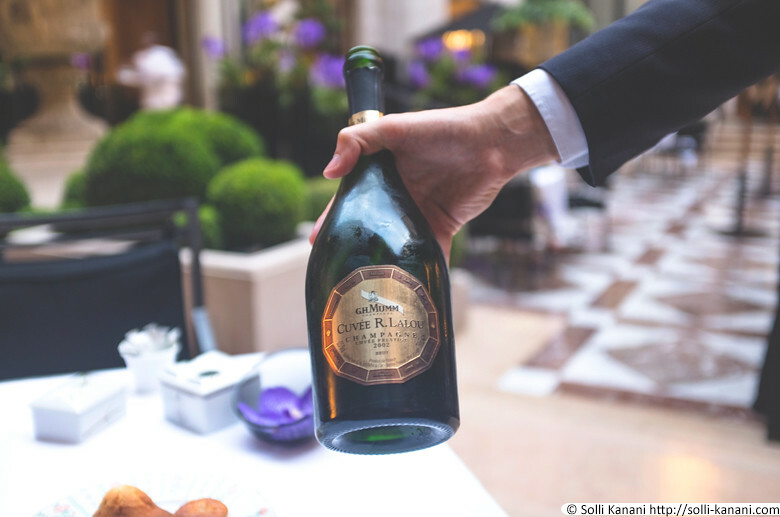 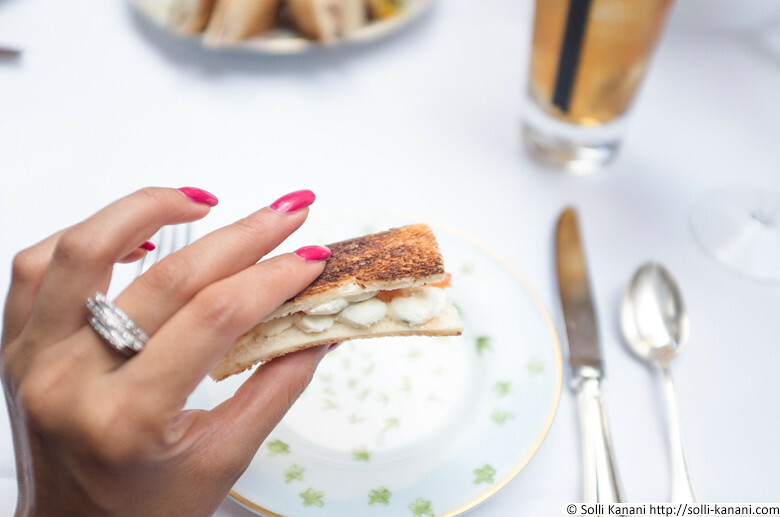 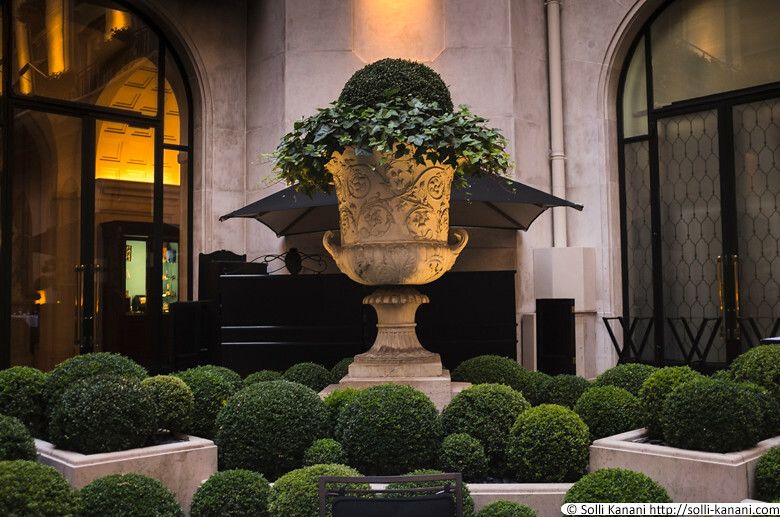 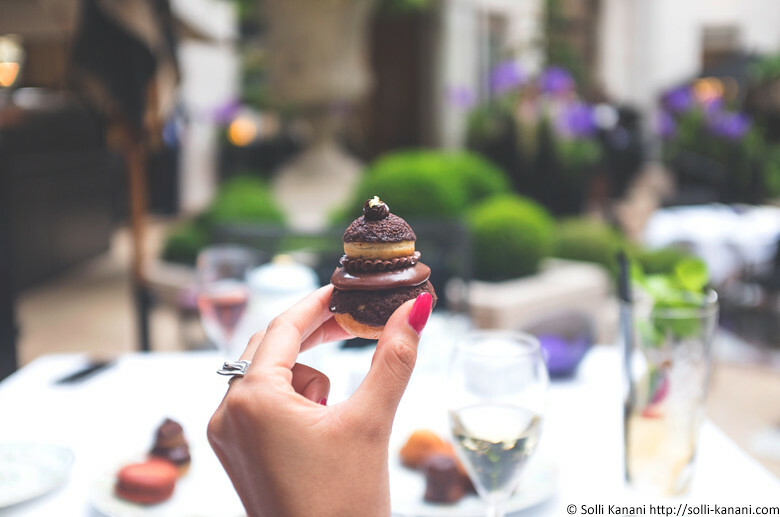 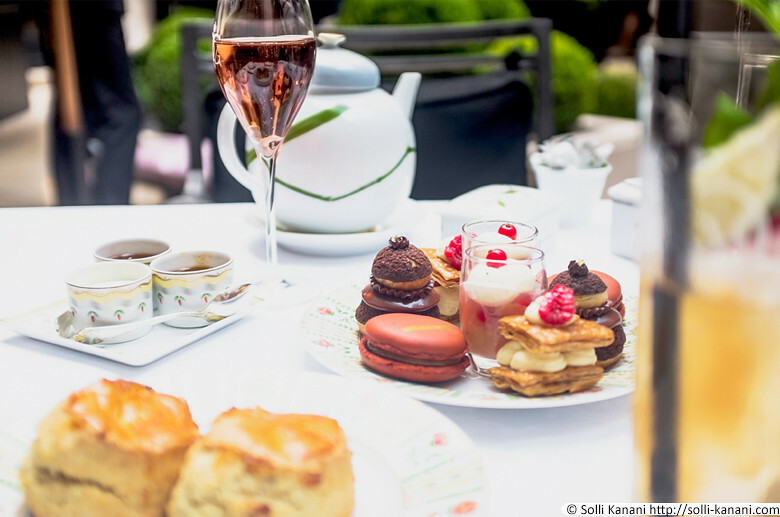 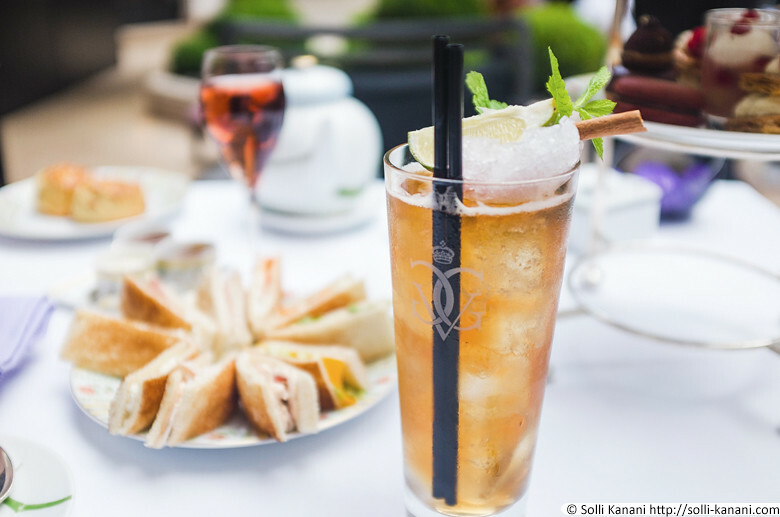 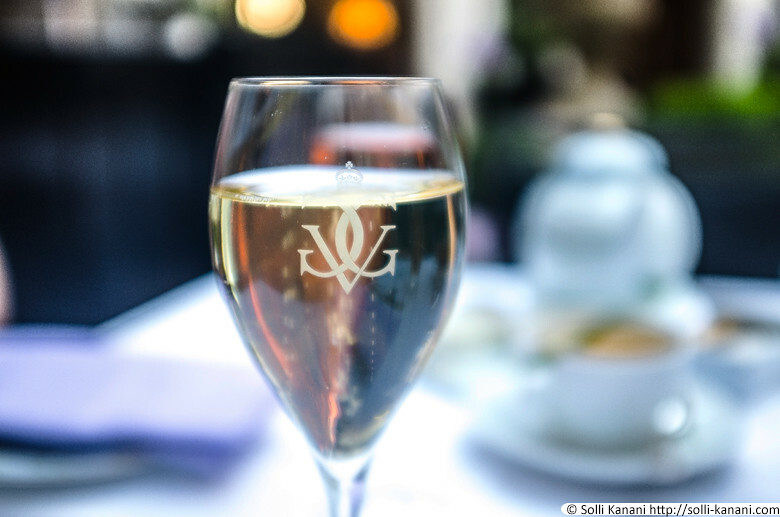 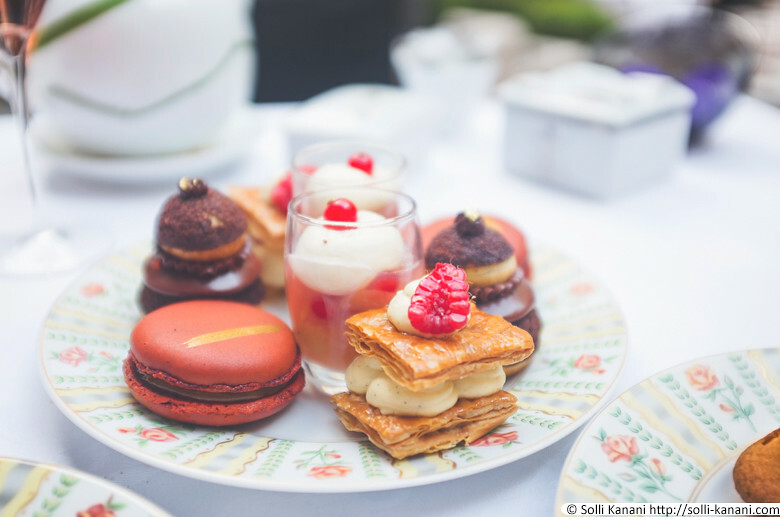 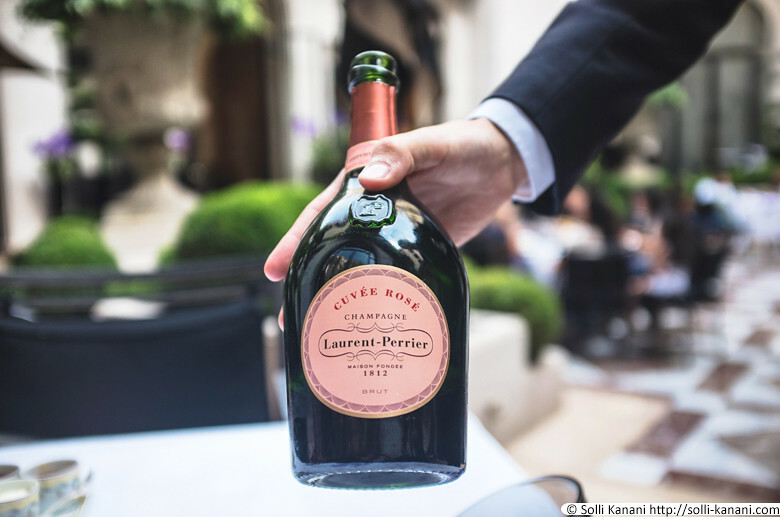 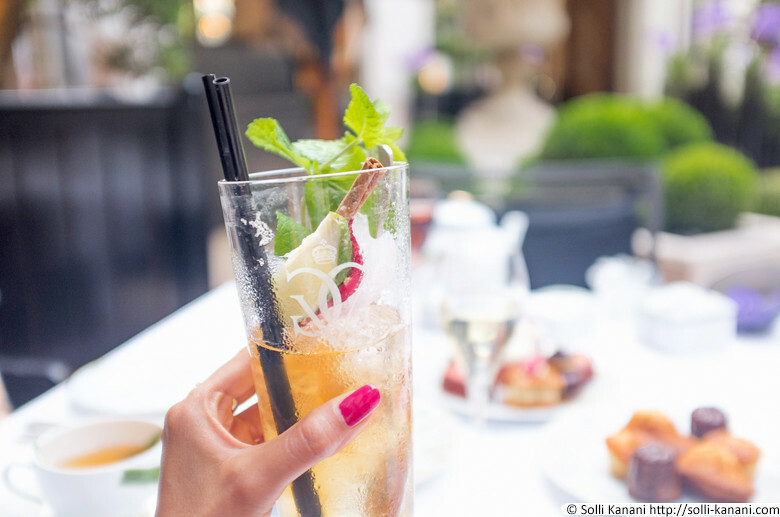 [pullquote width=”300″ float=”right”]courtyard of George V[/pullquote] We were welcomed with a glass of champagne to sip while we were browsing through their menu to choose the tea we wanted with our Afternoon Tea. 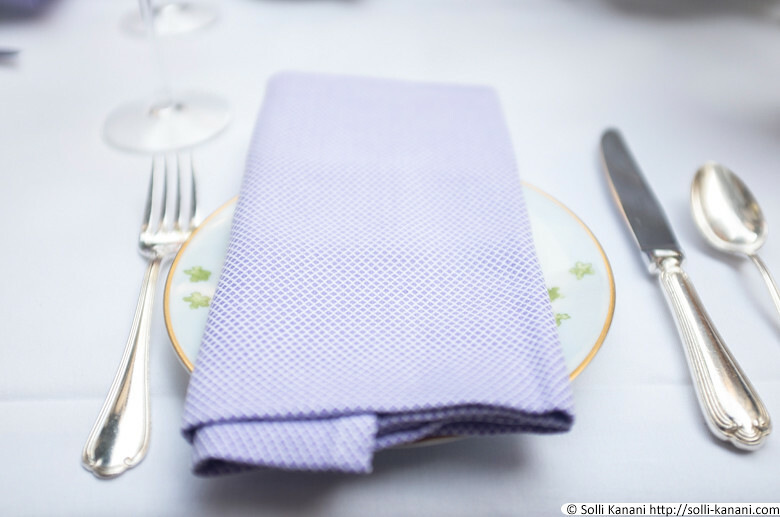 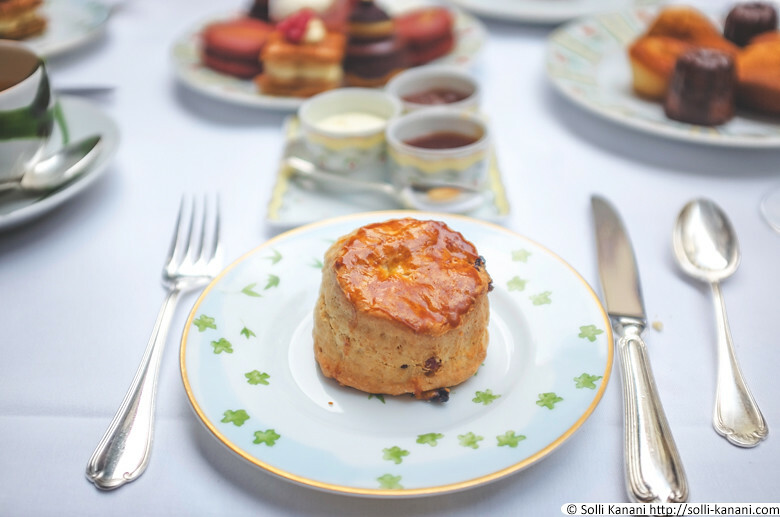 When we had made our choices it didn’t took long until our waiter came with a three tier cake stand filled with various selection of finger sandwiches, exquisite pastries and a plate a side with freshly baked scones, clotted cream and homemade jams – everything a classic Afternoon Tea should consist of. 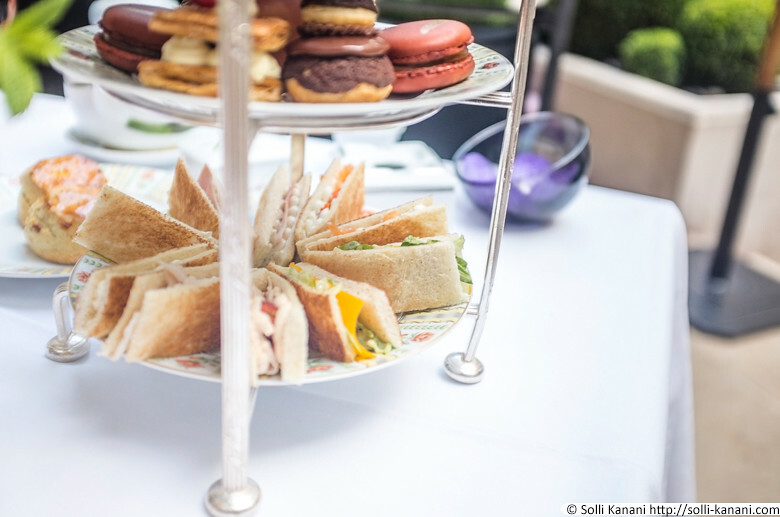 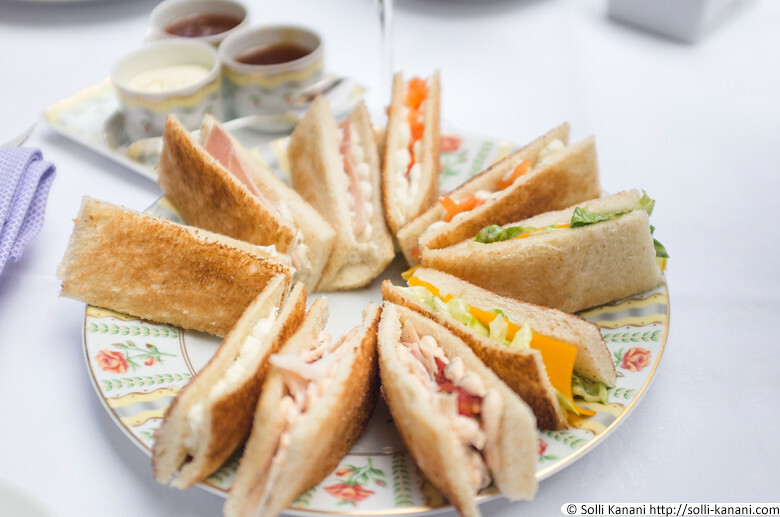 [pullquote width=”300″ float=”left”]everything a classic Afternoon Tea should consist of[/pullquote] After the obligatory photoshoot it was time to dig in, even if everything looked too pretty to be eaten. 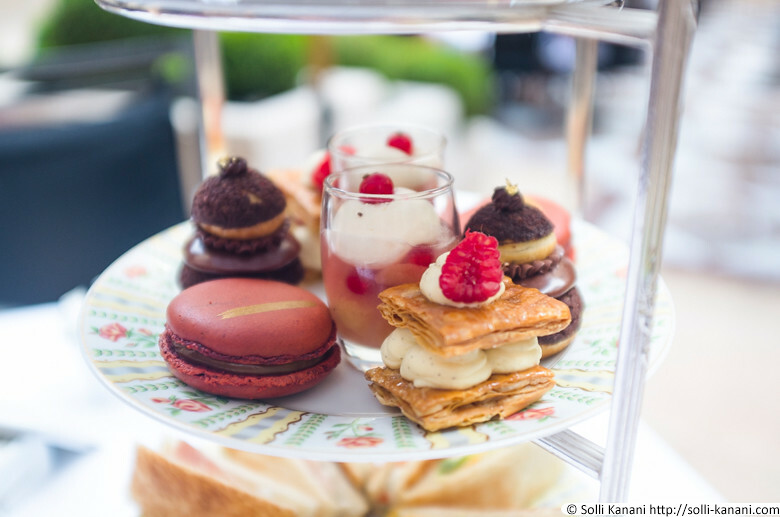 For hours we enjoyed this delightful Afternoon Tea in the most perfect setting surrounded by the most beautiful floral displays by Jeff Leatham. 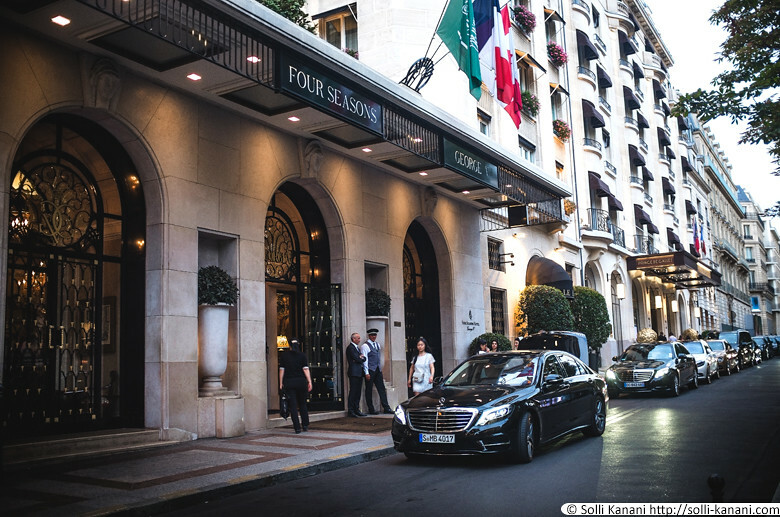 The service was beyond excellent, as you expect of a 5-star palace hotel, the waiters and waitressess always had an eye on our table, asked if we needed more hot water for the tea, if we wanted more scones or jam and also made sure to come and change our plates between the savories and sweets. 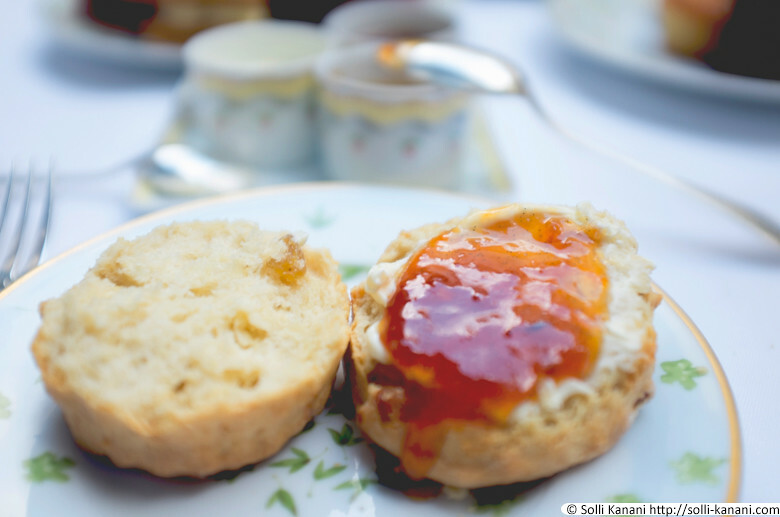 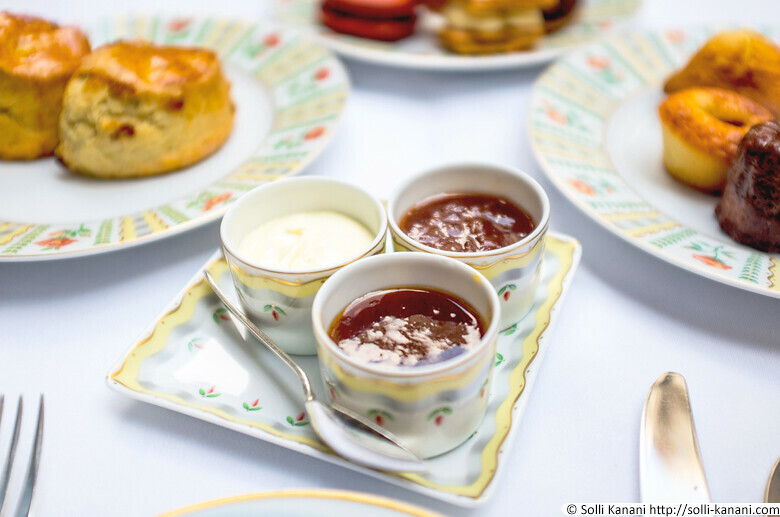 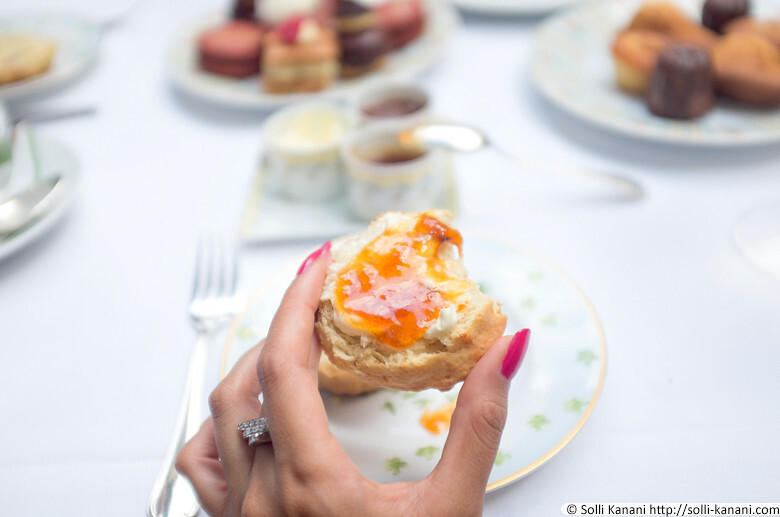 I can’t share the real experience with you but I hope these photos I took will at least give you an image of what you can expect when having an Afternoon Tea at Four Seasons Hotel George V.
clotted cream and homemade jam, obligatory on an Afternoon Tea! 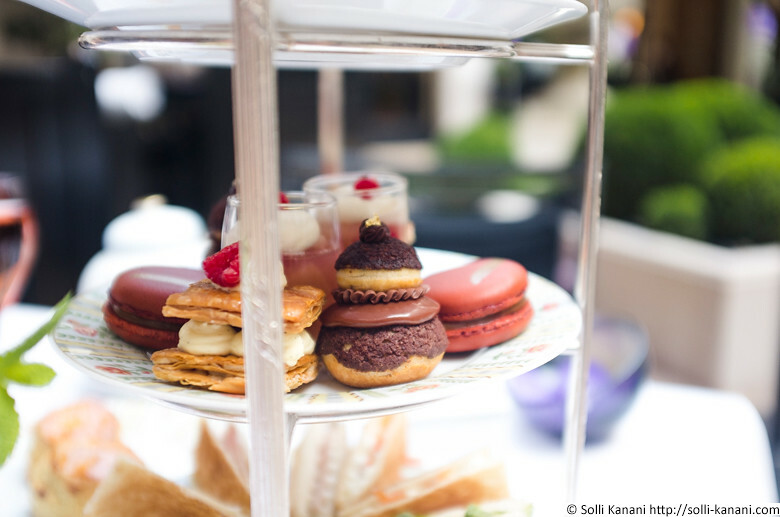 I had their Afternoon Tea two months ago but your gorgeous photos makes me wanna go back, very soon again! 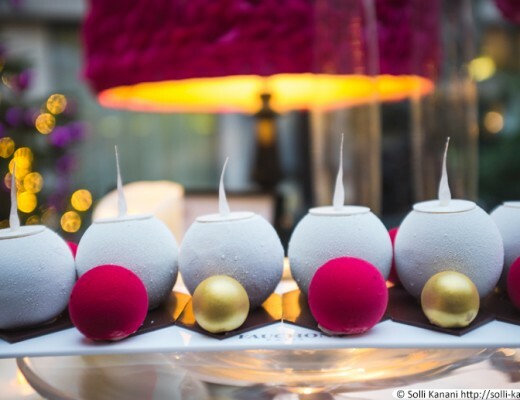 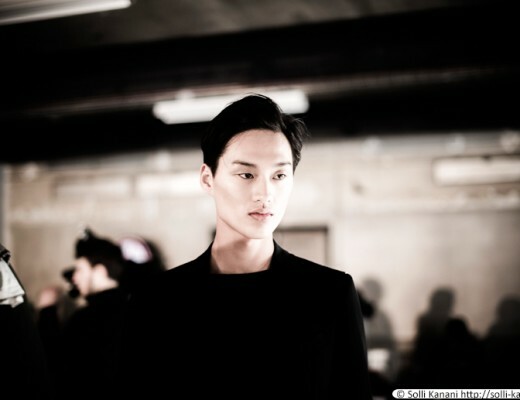 Your pictures are lovely Solli! 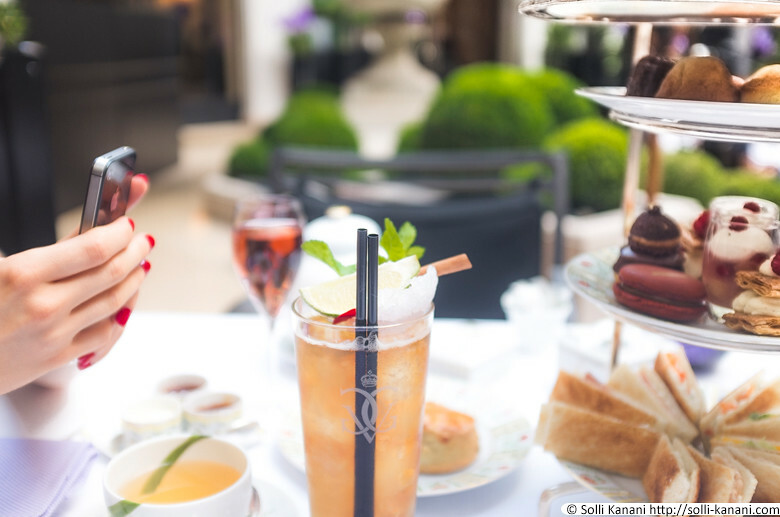 It’s nice to see them and go back to this lovely tea. 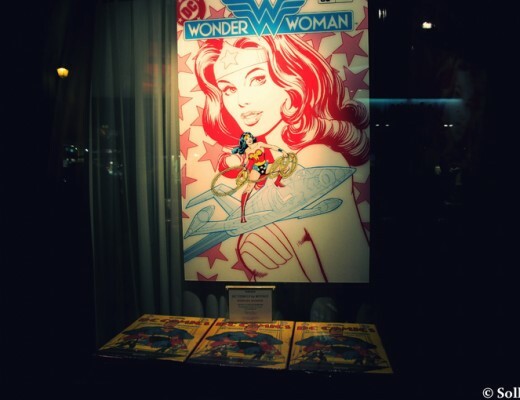 Thank you again!